Last week, Scottish football fans proudly displayed Palestinian flags at Celtic Park in defiance of a UEFA ban, and the club now faces punishment for their fans' solidarity act. While UEFA seems concerned with potential offence to Israel, the reality is that many Israelis are opposed to the continuing occupation of Palestine. Through my work with Front Line Defenders, one of the many excellent human rights organisations I have had the opportunity to meet is the Israeli group Breaking the Silence. They describe themselves as “veteran combatants” who have served in the Israeli military and now try to “end to the occupation” of Palestine by exposing Israel’s crimes. As a result of their work, they have faced public attacks from right wing Israeli media, government ministers and extremist groups. Even Prime Minister Benjamin Netanyahu has condemned the group, blaming them for attempted attacks against Israel. Human rights defenders in Israel and Palestine face attacks, threats, harassment, and murder for their peaceful work. They also suffer sustained and dishonest attacks against international funding of their human rights organizations. The most vicious threats, defamation and attempted infiltration are often targeted against those demanding accountability for war crimes and crimes against humanity, and those promoting boycotts, divestment and sanctions (BDS). 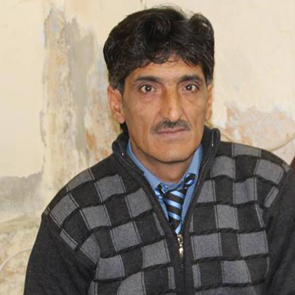 In May, I met with human rights activist Imad Abu Shamsiyya in occupied Hebron. He showed me the damage to his house caused by settler attacks and raids by Israeli soldiers. Imad and his family have received death threats since March, when Imad publicized a video showing the killing of a wounded Palestinian man by Israeli soldiers on Shuhada Street in Hebron. Imad is a long-standing activist in Palestine and volunteer with B'Tselem, the Israeli Information Center for Human Rights in the Occupied Territories. Respect and cooperation exists between some Israeli and Palestinian human rights defenders who work peacefully for a two-state solution based on human rights and the rule of law. UEFA doesn’t seem to know this. After Celtic fans came out in support of Palestinian freedom last week, BBC Scotland journalist Tom English posted a picture of Celtic fans displaying Palestinian flags with the caption, “idiotic.” English is entitled to his opinion, and some other Celtic supporters are frustrated that the demonstration of support for Palestine will bring further sanctions against the Celtic club. But it is the position of UEFA, not the demonstration of Celtic fans, that should concern us. UEFA appears to have given itself power to suspend the European Convention on Human Rights, including the right to peaceful freedom of expression within football grounds. The Scottish Government, for its part, is also wrong about its Offensive Behaviour at Football Act, but at least they have a mandate and a legal process. I was proud to see my fellow Celtic supporters defying threats to protest in support of Palestine, and pleased to see the positive impact it had through social media. Those in Israel and Palestine who work peacefully for a two-state solution based on human rights and the rule of law face harassment, demonisation, arbitrary detention and sadly in some cases killings. It is to the credit of Celtic supporters that they have matched their protest with practical support, raising over £130,000 to Palestinian charities. Defending the right to protest is also important because threats and intimidation against human rights defenders fighting for justice in Palestine have spread to Europe. 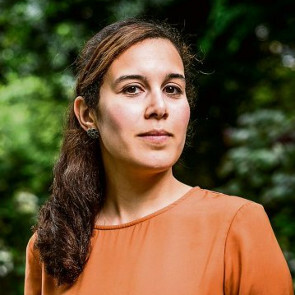 Nada Kiswanson is a human rights lawyer with the Palestinian human rights organization Al-Haq who is working with the International Criminal Court in the Netherlands as it probes possible war crimes committed by Israel against Palestinians. She has received death threats, intimidating phone calls, emails and a bouquet of flowers with an ominous message, threatening the lives of her and her family. It is precisely because the Israeli Government and extremist groups have invested so heavily in efforts to criminalise non-violent protest against the 49 year illegal occupation and aggressive settlement expansion that the protest at Celtic Park was so welcome. The UEFA ban on Palestinian flags stands in contrast with their suspension of the Yugoslavia team from the European Championships in 1992. I suspect they are more concerned by their sponsors than with ethics these days, but it was great to see some folk won't be bullied into silence.